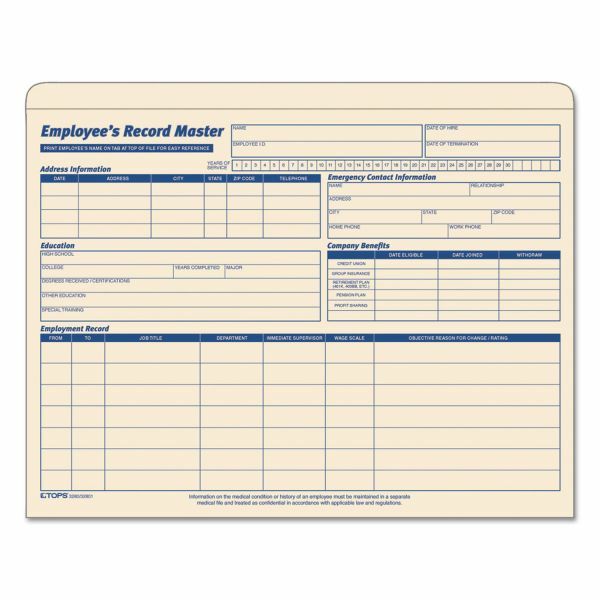 Complete with space for company benefits, education details and employment records. 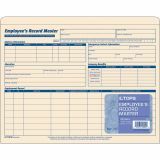 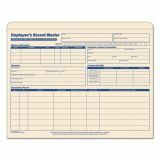 TOPS Employee Record Master File Jacket, 9 1/2 x 11 3/4, 10 Point Manila, 20/Pack - Employee Record File Jackets hold all the records pertaining to one employee. 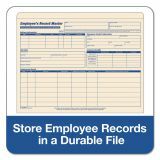 Front of jacket is printed in red and blue for basic employee information. 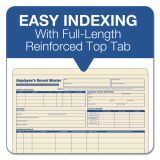 Jacket holds standard, letter-size documents or smaller. 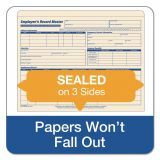 Each file jacket is sealed on three sides to secure papers and made of sturdy, heavyweight cardstock. 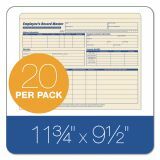 Letter 8.50" x 11" 9.50" x 11.75"